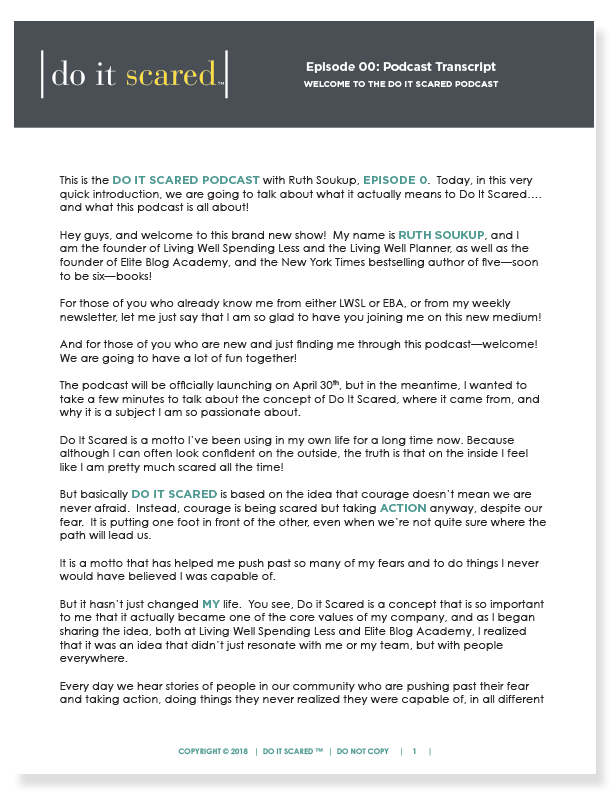 Welcome to Do It Scared™ podcast! 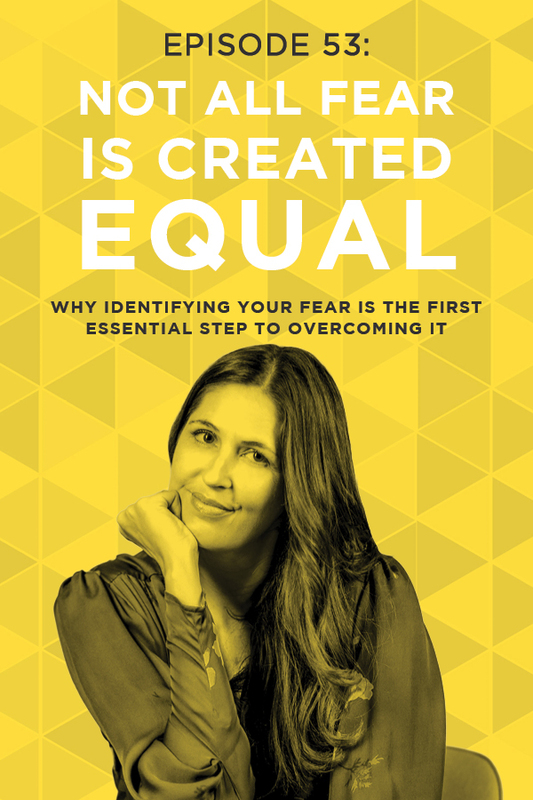 In every episode of this podcast, we’ll talk about how to face your fears, overcome obstacles, and create a life you love! 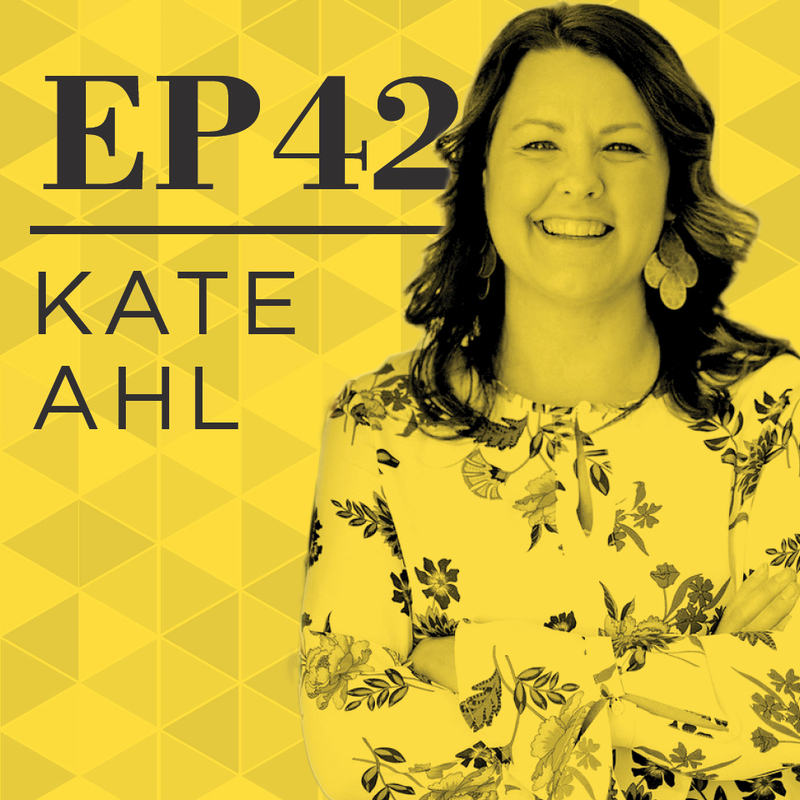 Pinterest marketing expert Kate Ahl joins me today to talk about daring to start a business from scratch, what happens when you’ve got nothing left to lose, and what it takes to continue when life hands you hard circumstances. As Kate explains today, her biggest fear is failure. If she hadn’t been in such a place of desperation several years ago, she wouldn’t have had the courage to take the leap and start a business. 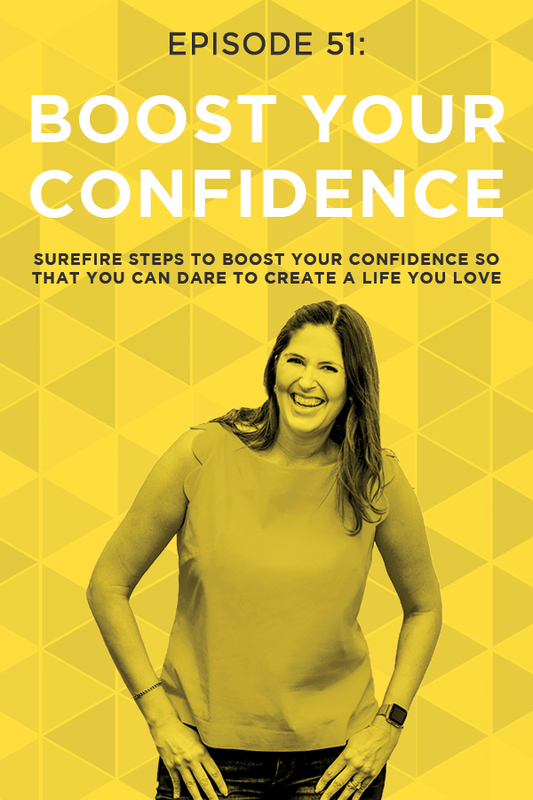 Now she’s not only financially successful, but also deeply fulfilled; she’s a networker who loves to connect deeply with people. 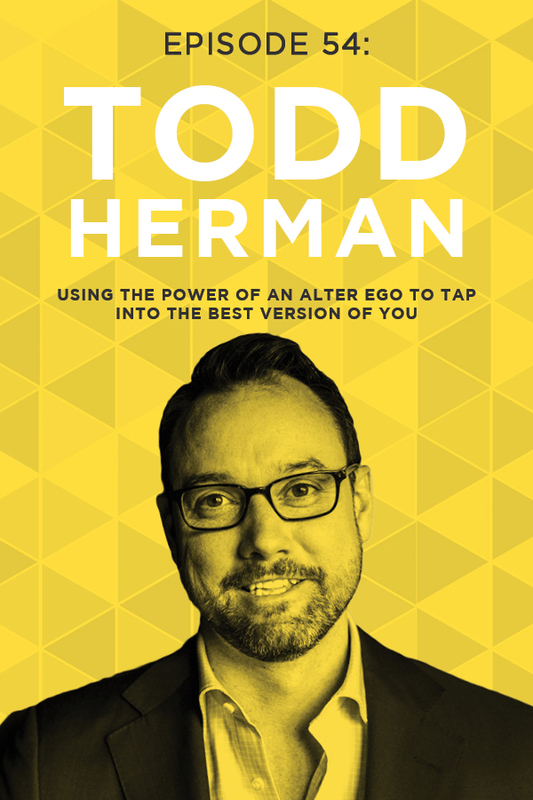 If you’re in a different position, it might be hard for you to relate to the idea of finding the courage you need in the fact that you don’t have anything to lose. Jumping into starting a business can be even scarier when you do have something to lose! 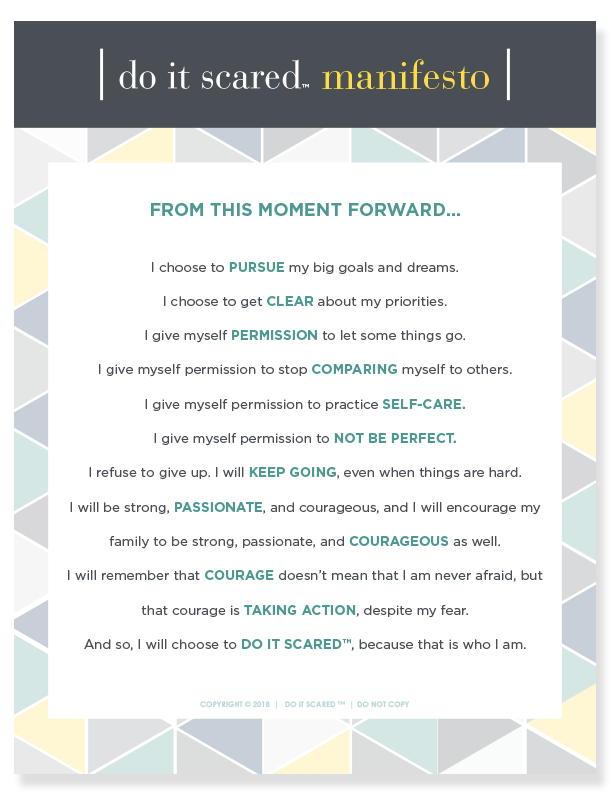 This is something that Kate and I definitely acknowledge, and we talk about some ways to find the courage you need. Kate specializes completely in Pinterest, and in our conversation, she shares valuable insight into how Pinterest is different from other social media platforms. It’s a slow burn, she points out, and it’s based on keyword searches. We’ll also take a deep dive into our (very!) different personality types, and how each of those have strengths but, surprisingly, result in very similar problems. We’ll also get into more personal topics. Kate shares a story of how she and her husband got certified as foster parents, and then ended up with a foster baby. At the time, they didn’t know how long they would have the baby in their family. Kate describes the experience of fostering and her changing relationship with the child over the course of the journey. Tune into this amazing episode that’s full of inspiration, heartwarming moments, and great advice! [01:26] – Welcome to the show! Ruth introduces today’s guest, Kate Ahl, and shares the subjects of the conversation. [07:13] – Kate shares a brief overview of who she is, what she does, and how she got to where she is today. [09:31] – When Kate looks back on her journey, what does she wish she could say to her earlier self? [12:49] – Kate talks about her favorite part of being an online business owner. [14:16] – What would Kate to say to someone who does have something to lose and doesn’t know how to get past the fear that it might not work? 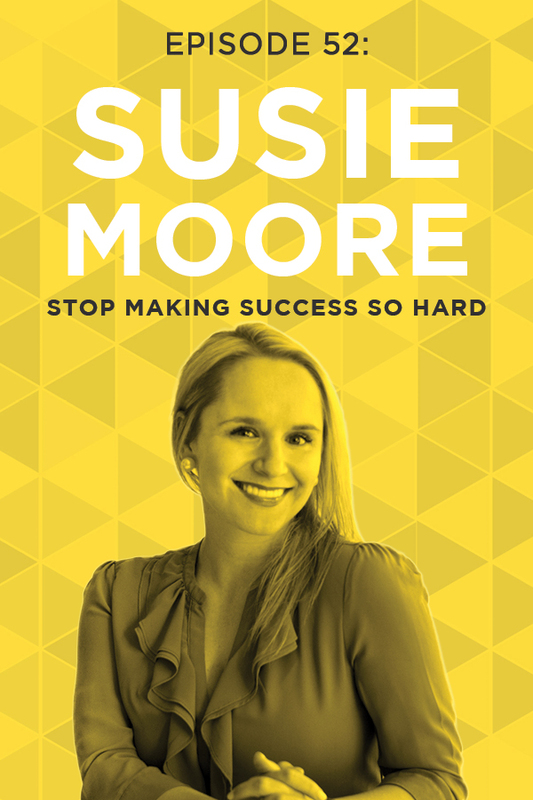 [18:18] – How can people who are trying to get traction for their business use Pinterest? [20:10] – What is one thing that no one ever asks Kate about Pinterest, but they should ask? [21:29] – Kate talks about something that has really scared her (other than the fear of being penniless), and how she moved past that fear. [24:44] – Ruth and Kate talk about their strengths and attributes on StrengthsFinder and Kolbe. [29:55] – Kate uses the example of how people wrote papers in college differently to explain the difference between personality types. [34:04] – What trips Ruth up is her low follow-through score, she explains. She and Kate then chat about the importance of being surrounded by people who will speak the truth. [38:39] – We hear about the potential for any social circle to cause a sense of pressure to keep up with what everyone else is doing. [42:17] – Kate shares a moving story about fostering a child, and the various ups and downs she experienced through the process. [48:57] – We learn about Kate’s family’s changing relationship with the girl they fostered, and the role they play with her now. [50:55] – Ruth shares one of the things that she loves most about online businesses. [52:18] – What has been Kate’s greatest lesson out of the fostering process? [53:57] – Kate talks about what she’s working on right now that has her really fired up. [55:15] – How does Kate practice self-care? [56:56] – Kate shares the best piece of advice she has ever received (which comes from Ruth!) and explains why it’s so powerful. [57:58] – What are Kate’s final words of wisdom, and where can people find her online?